7 tips to keep in mind if you plan on taking your dog camping this summer. Practice some shorter outdoor adventures first. If you’re not sure how your dog will act on a weekend camping trip, plan a few shorter trips to see how he does. Take him to a few nearby parks, campgrounds or picnic areas to get a feel for his comfort level and behavior. Does he bark at everything? Is he pretty calm? Will he sit still for a bit, or does he always have to be moving? This will at least give you a general idea about how he might act while camping. Read the park rules ahead of time. Don’t assume your dog is welcome at all parks or in all camping areas. Sadly, some parks do not allow dogs at all. 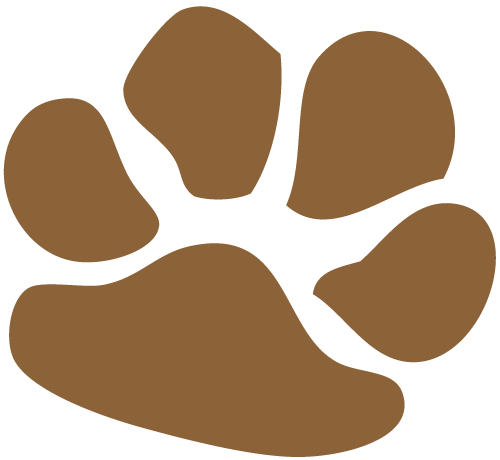 Others require dogs to remain in certain areas of the park, and most will require dogs to be leashed at all times. Don’t go without ID tags. 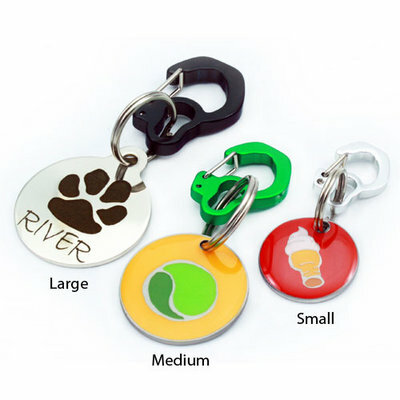 Dog ID tags are important all the time, but especially while you travel with your dog. A personalized dog collar also works great because you don’t have to worry about the tags falling off and getting lost. Bring treats or a toy. This is especially important if your dog is likely to bark while camping. You’ll want to have a way to keep him focused on you rather than disrupting everyone else at the park. You may want to bring a few of your dog’s favorite chews to keep him occupied as well as a favorite toy. Plan ahead for the worst-case weather scenario. For example, bring extra towels for drying your dog or wiping muddy paws. 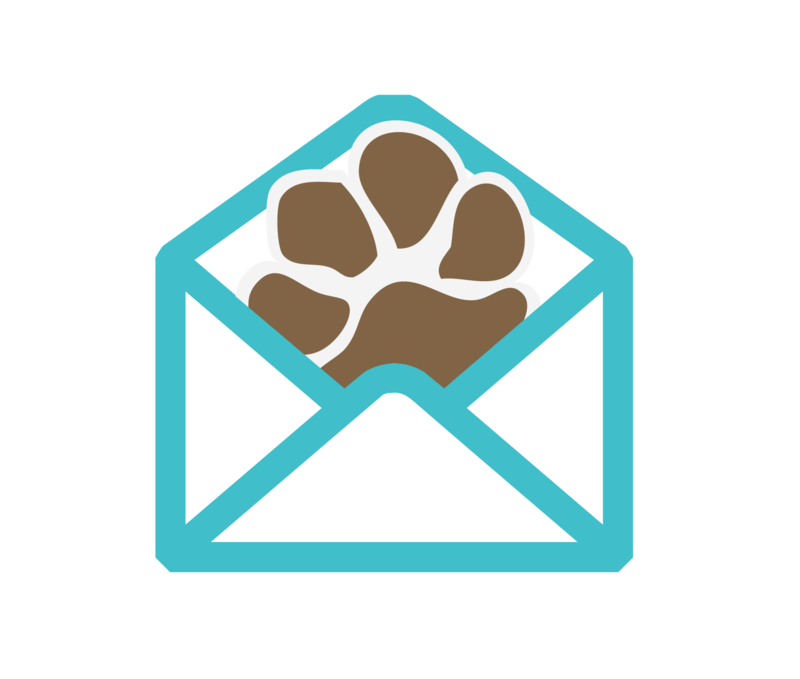 If your dog is scared of storms, you may want to consider leaving him with a trusted friend or at a boarding kennel. Consider a waterproof dog collar if your dog will be swimming or spending a lot of time in the rain. Exercise your dog the week prior to your camping trip. Your dog will have a much easier time remaining calm if you provide him with exercise leading up to the camping trip. New environments are just so exciting for a lot of dogs, so any energy you can drain ahead of time will help make the experience more fun for everyone. Walk your dog a bit longer each day. Play games like tug to drain some of your dog’s emotional energy and anxiety. Work on some obedience training or other problem solving activities to drain your dog’s mental energy. Make sure your dog is up to date with flea/tick prevention. If fleas and ticks are a worry in your area, make sure you give your dog appropriate protection before you head out on your camping trip. What are some other tips for taking your dog camping? Next articleHow to stop a dog or puppy from chewing.